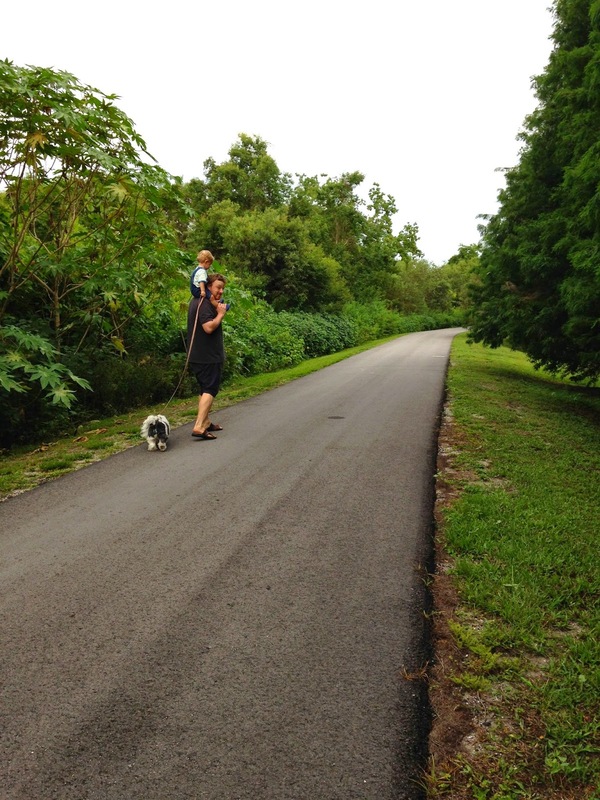 We have a great park near us that has a really nice walking path that's quiet and far far away from speeding cars. It's a loop that's less than a mile which is still a little long for our short legged family members but it's a nice evening stroll/ride. The first time we tried this walk though, we brought the stroller and it was awful. Will couldn't decide whether he wanted walk, ride or push the stroller and so there was crying and a lot of mind changing and nobody had a ton of fun. So, the second time, we didn't even bother with the stroller. Instead, we gave Will the reins leash. 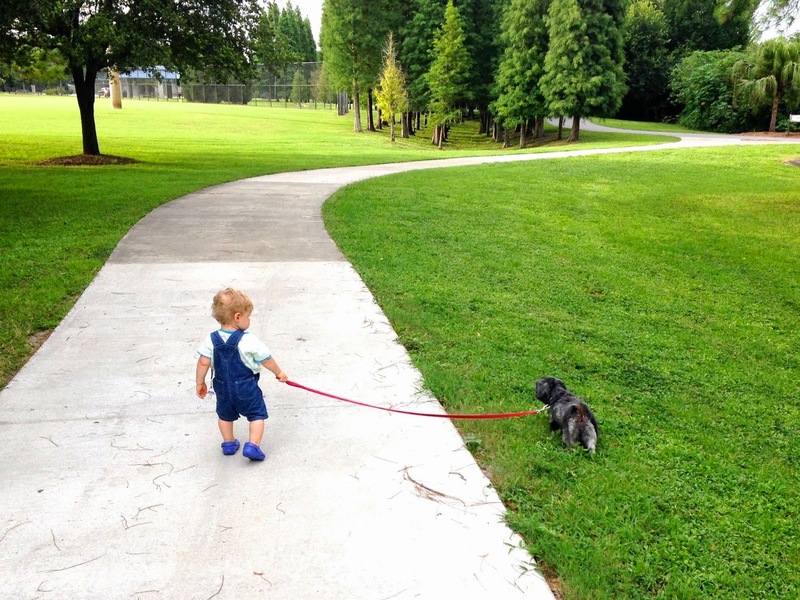 And apparently, if you give a boy a leash he will walk... at least half the way. 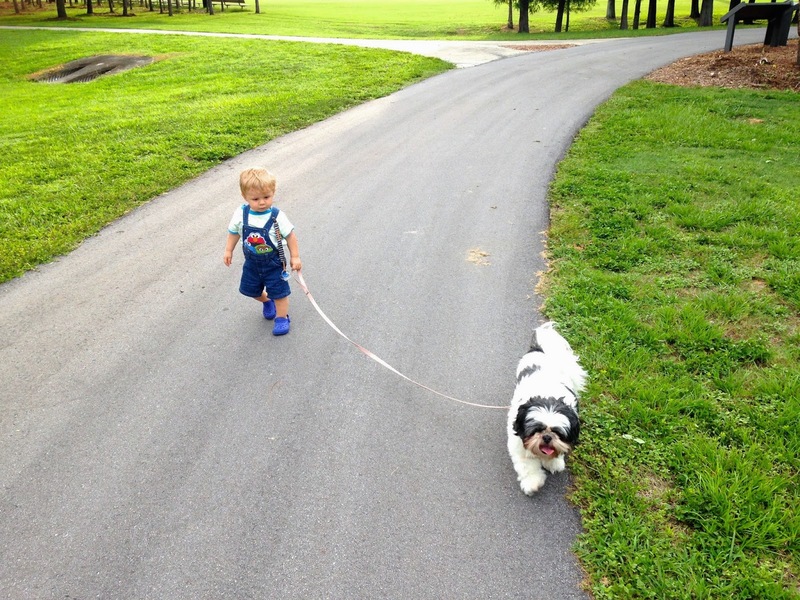 At first we thought Zoe would be a good dog for Will to walk but she was a little to fast for him. Madeline on the other hand, loves the slow pace. 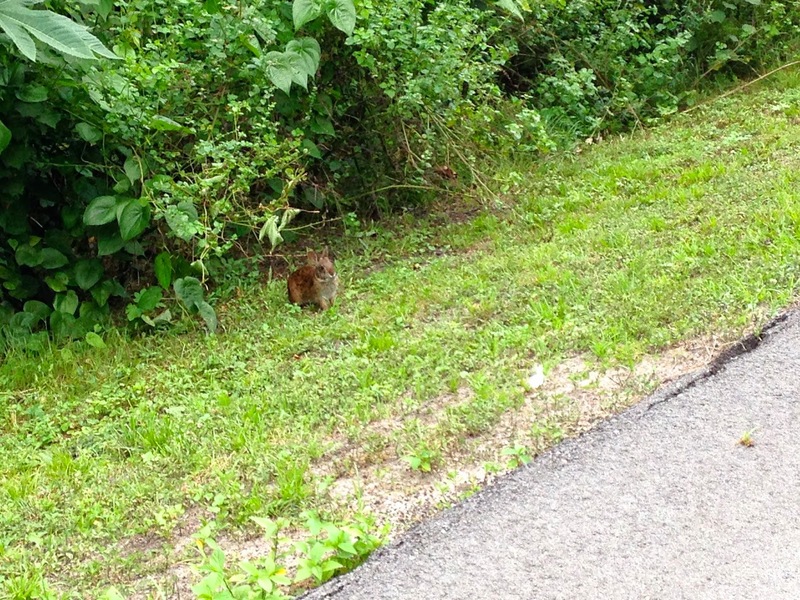 It's a great spot and there are sooo many bunnies! We would like to be doing this walk a lot more often but right now it is so hot so we go when can and can't wait for cooler weather!